Crocheting is Cool. And I'm not a Grandma. 1. That it is not the same as Knitting. They're different techniques. 2. 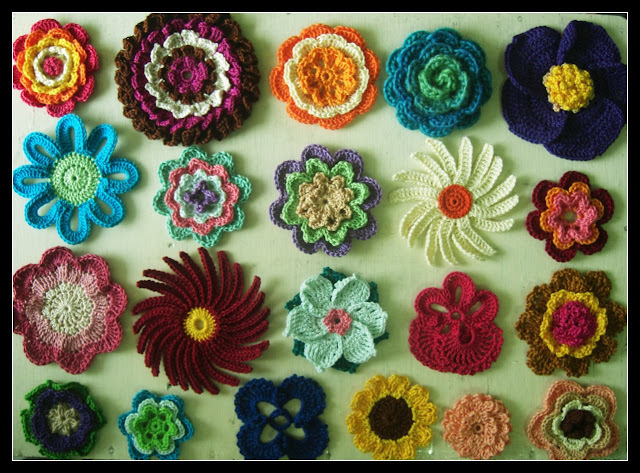 That yarns are not the only materials you can crochet. There's wire, leather, etc. 3. That Grandmas don't only crochet. There are cool people who do, like Madonna. Flower Power! Just a few of the crocheted flowers I worked on. Expect me to share how you can make some of these in future blog entries.